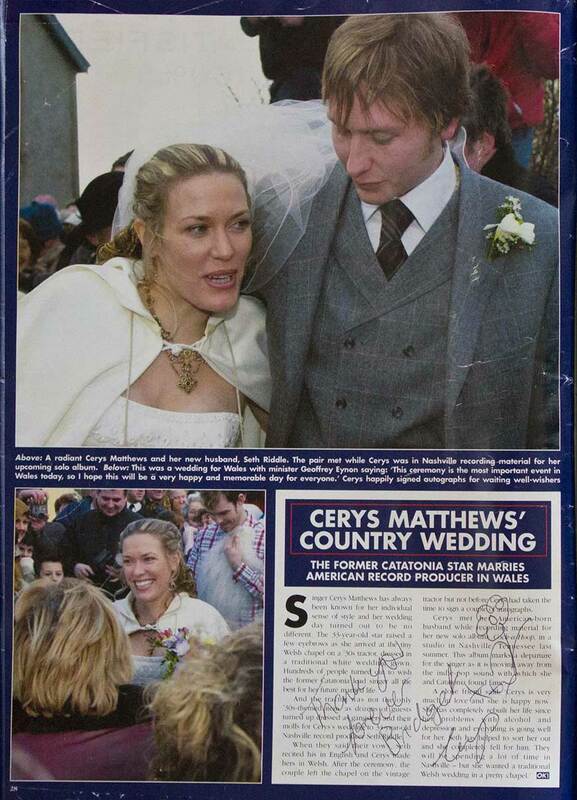 Sourced from ‘OK Magazine’ 4th March 2003 – Cerys Matthews marries Seth Riddle in a local chapel and was featured in Ok magazine. 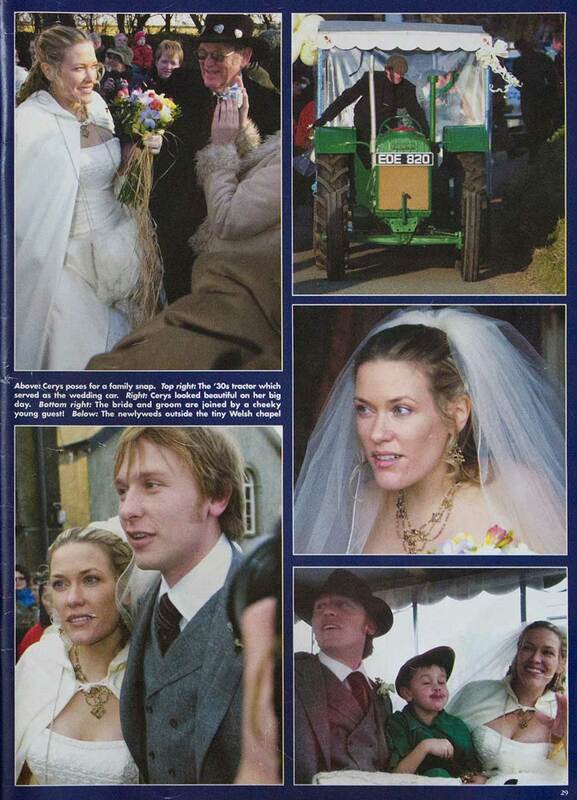 It was great fun doing a celebrity wedding and having to keep it a secret so the press did not find out, as she wanted a traditional welsh family wedding. Cerys wanted a quirky but country style wedding with lots and lots of flowers. 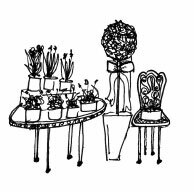 At the time we were in our first shop which was tiny and the flowers were bursting through the doors.